The perfect package for a special moment with your favourite women. 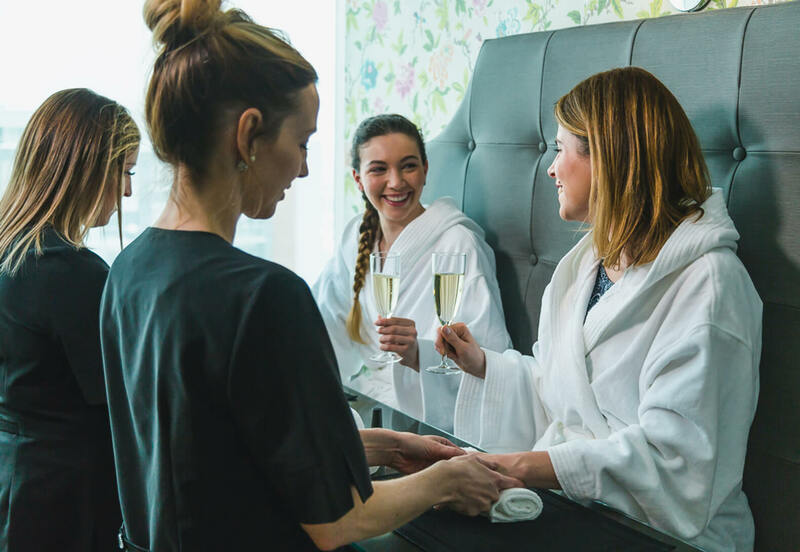 Our beauty specialists will pamper you with a luxurious 60-minute mani-pedi and a glass of wine. The perfect way to relax and catch up with your girls. This treatment is available for two persons only. * The minimum age required for this treatment is 18 years old. * Treatment available for two persons only.